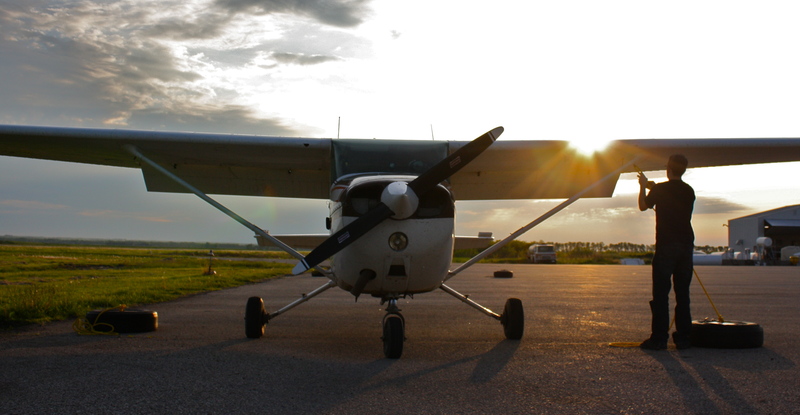 I have encountered lots of students in my short career as a flight instructor. They have come from all walks of life from 14 years of age to 70 and from all over the world. They all bring different views, expectations, and resources to the table but unfortunately not all succeed. In fact I would say that 90% of the people that walk through our doors leave without licenses. There are probably as many reasons as there are people but I’ve discovered a few that keep repeating themselves. Financing: Make sure before you start your training that you have enough money to complete the training and whatever the school quoted you at add another safe amount. I have seen so many situations, including my own, where a student was unable to go the distance simply because of affordability. The Medical: If you’re concerned about your high blood pressure, your hearing, or your vision, book a medical with a Civil Aviation Medical Examiner first. There’s no point in spending thousands of dollars just to have your health quash your dreams. Study Hard: If you don’t have good study habits or have been out of school for decades, then you need to ramp up your study habits. Procrastination is a licence killer simply because there are too many tests that you have to do. Right off the hop, you have to do the Radio Exam and get 70%, the PSTAR where you need 90%, and then the Written Exam which tests your knowledge of Air Law, Meteorology, Navigation, and General Knowledge to name a few. The area which requires lots of studying and review is learning the flight exercises. I tell newbie students all the time that 90% of the learning happens on the ground and when we are airborne we put them into practice. I can tell immediately when a student has reviewed or not prior to a flight because either he knows the exercises or not and when each 0.1 of an hour costs $17, it’s a heckuva a lot to pay if I have to keep demonstrating the same old exercises. Time: You cannot expect to finish a licence in a reasonable amount of time if you are burdened by a full time job, family life, extracurricular activities, etc. Students who book once a week will probably have 30% cancelled and end up working at their licence for years or drop out due to a lack of improvement. Their flight training costs due to extra flights needed can almost double in cases. You need to be dedicated to completing your licence in a reasonable amount of time. It might be a good idea to set a date in mind to do your flight test or written test and try to stick with it. Consult with your instructor and work out a schedule to get it done. This is by no means a complete list but if you have most of the above mentioned in your favour, then there’s no reason you can’t succeed in your flight training.